An infectious passion for design. Heather is a true artist. She draws and paints, shoots photography and occasionally designs jewelry. Her passion for design is infectious. Just follow her Instagram for a daily dose of visual inspiration. 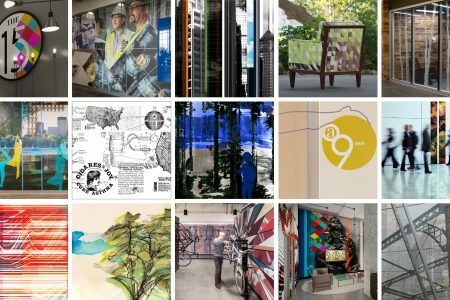 As RSP’s Senior Environmental Graphic Designer, she brings a fresh perspective and an active imagination to every project. 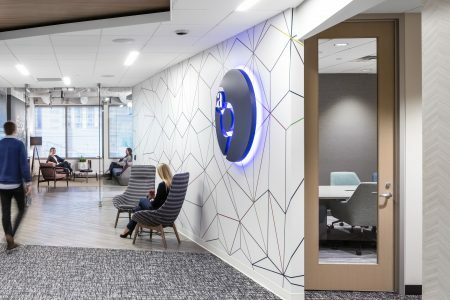 Heather celebrates the personality of each space by designing custom art, graphics, branding and finishes that enrich the architecture and enhance the brand. Her designs add a level of personality to previously bare walls. Her work is found locally, nationally and internationally. From corporate offices and retail stores to restaurants and residential buildings. 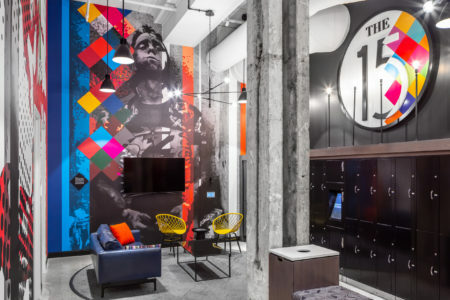 In Minneapolis alone, Heather has designed colorful, locally inspired murals and ink-washed canvas paintings at a multi-tenant building downtown called 50 South 6th. 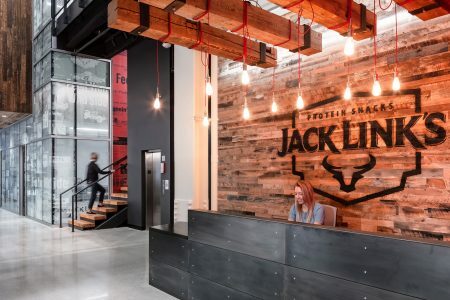 For Jack Link’s, she’s created Sasquatch sightings and graphics that highlight the company’s history for their new headquarters. 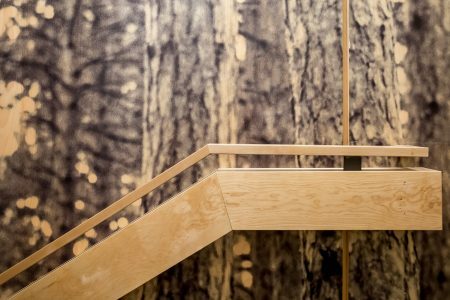 And in the nation’s first seven-story all-timber building in 100 years, T3, Heather customized life-size, floor-to-ceiling forest graphics. Her creativity and boundless curiosity keep the ideas flowing, while her authenticity keeps her grounded. She finds inspiration everywhere, even while running over lunch along the Mississippi. It’s where and when ideas come to her, so she often stops to snap photos on her phone, then transforms them into full-scale graphics.